International Genetics Technologies, Inc (abbr. “InGen”) was a genetics company created by John Hammond in the early 1980’s, and one of many such companies that were founded during this time, another notably being InGen’s primary corporate rival, BioSyn. Based in Palo Alto, California, InGen’s primary research locations laid in the offshore islands of Costa Rica. Here, InGen bought Isla Sorna, and leased Isla Nublar from the Costa Rican government. Their most notable accomplishment was when genetics researchers found a way to revive the dinosaurs by extracting preserved DNA from mosquitos trapped in amber and re-engineering the genetic sequence. Using this process, the company revived the dinosaurs on Isla Sorna, and built Isla Nublar as a tourist destination. However, before the Isla Nublar resort could open, an incident involving an inspection team led to the destruction of the Isla Nublar facilities in the late summer of 1989. Due to the losses, InGen filed Chapter 11 bankruptcy protection to the San Francisco Supreme Court on October 5, 1989, and their assets were sold off. 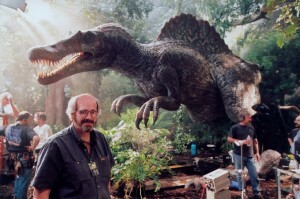 Some of these were bought by paleontologist Richard Levine, who used recovered digital files in old InGen computers to track down InGen’s research and production facility on Isla Sorna.